Architect Sophie Nguyen has remodeled a terraced townhouse in south london, extending the lower ground floor to create a brightly lit kitchen and dining area. Upstairs, an extra bedroom and two new bathrooms have been added through the conversion of existing rooms. With a growing family, the owners of the property required more living space, yet understood that relocating within the same neighborhood was not financially viable. consequently, they reached out to nguyen and her team. In order to create the generously proportioned kitchen and dining space, sophie nguyen architects extended the home’s lower ground floor into the adjacent side alley. 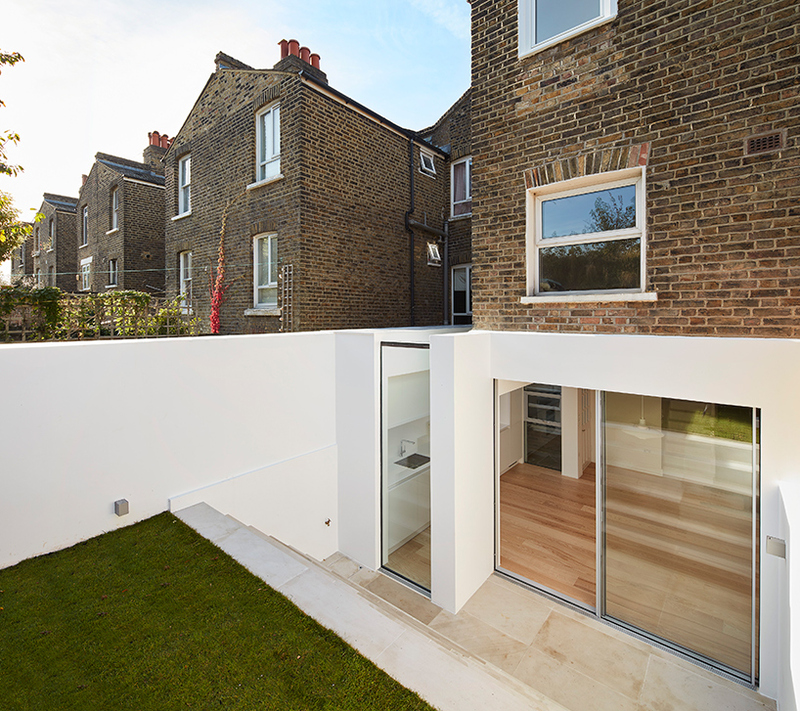 This brought more light into the residence and ensured that the structure retained its relationship with the garden at the rear of the site. placed within the newly annexed side alley, the kitchen has been positioned as a standalone element that maintains its distance from the living space through a glazed gap.